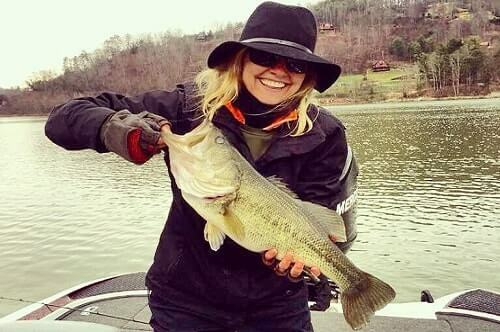 At Southern Appalachian Anglers we pride ourselves on having the regions most experienced guides. We are family owned and operated and provide full-service to make all of our fishing trips memorable. Our guides are patient, courteous, knowledgeable, and professional. In order to be the best in the business our guides are excellent teachers with 25 years of experience fishing rivers, creeks, and lakes all around Western North Carolina. 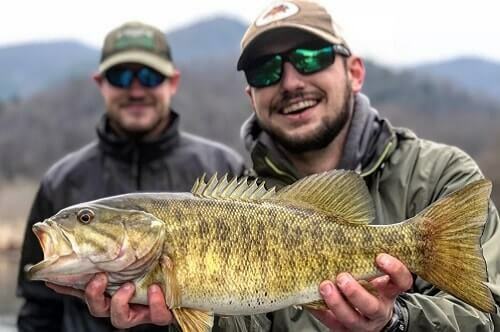 Southern Appalachian Anglers is one of Asheville's only fly fishing guide service that offers wade, float, back country and bass fishing reservoir trips year-round. Learn more about our expert guide staff below! Paul is a true fishing fanatic. He is an expert at guiding on the bigger rivers by boat and excels at wading Western North Carolina's smaller rivers for giant trout. His fishing obsession started at age 3, where he became hooked on fly fishing mountain creeks and bass fishing Southern Appalachian Reservoirs. He runs a top of the line fiberglass drift boat and an outfitted raft to cover every river around Asheville. He received his BSBA from Appalachian State University and dreamed of becoming a fishing guide every day in class. He founded SAA in 2012 for anglers of all backgrounds to come together in Asheville and learn about local fisheries. 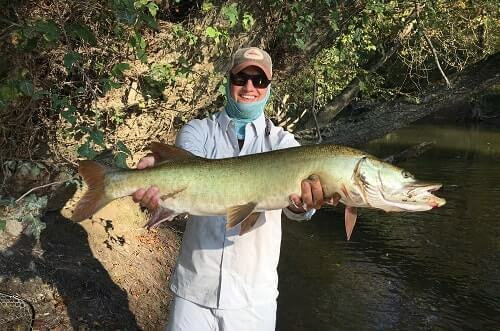 USCG Licensed, for big river musky fishing around Asheville. It is hard to find a more genuine or pleasant guide than Paul Kisielewski. Contact Paul: (828) 691-1506. Born and raised in the mountains just north of Asheville, Kacie has been fishing for trout and smallmouth bass her entire life. She spent several summers working as a camp counselor, so she is passionate about providing activities for children. Kacie manages our young kids' Fly Fishing Camp, during the summer, and she loves sharing her knowledge of fishing with the younger generation. Over the years, her quest for wild trout and other native species has consumed her time and made fishing her top priority. When she isn't on the water, she enjoys training for half-marathons, photographing mountain scenery, or hiking with her dog. Ethan Hollifield caught his first trout on a fly rod when he was four years old, and with the mentoring of his grandfathers, he became addicted to the sport at an early age. Born and raised in Spruce Pine, North Carolina, Ethan has wet a line in almost every stream and lake in Western North Carolina and East Tennessee. His favorite fish to target are aggressive river smallmouth on streamers and wild trout on dry flies. While in college at NC State Pursuing a B.S. in Parks and Natural Resource Management, he joined the national championship winning collegiate bass fishing team "Basspack." If he's not fishing, he enjoys camping, hunting, tying flies, and playing bluegrass.